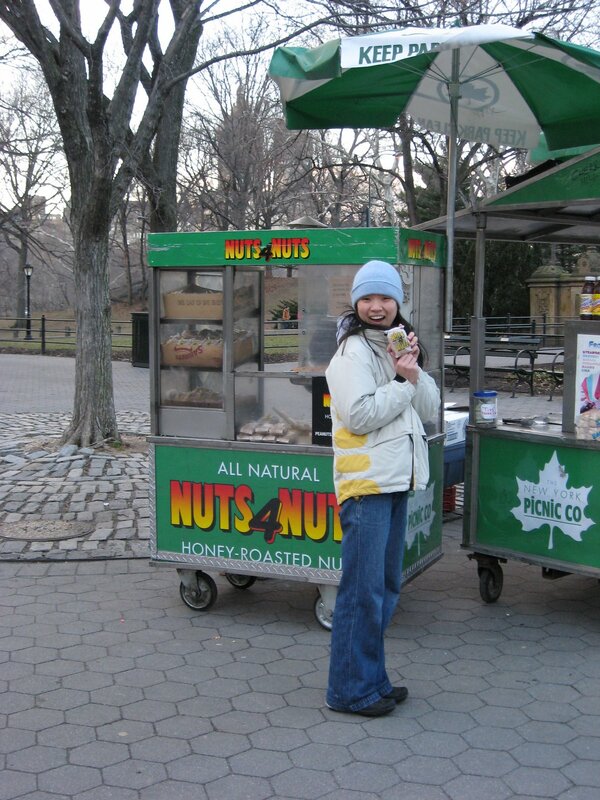 As we walked through Central Park today, we found a Nuts 4 Nuts stand! Since this blog’s primary contribution to world knowledge came in the form of explaining Chilean Nuts 5 Nuts vendors, we celebrated with a photo. And some cashews. If you’re implying that this is a picture of nuts…well…you’re probably right!